This centre is part of a £31m leisure and office development complex that was completed in 2014. It is housed in a stunning building and provides modern and stylish office units varying in size from 135 to 1,975 sq. ft. You will be supported by a dedicated in-house team and will only be three and a half hours from London by train. As well as this, the space offers postal facilities and mail handling and break-out and lounge spaces. 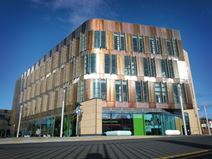 Based on the busy Esplanade of Redcar, this centre is the perfect location for creative companies, emerging innovators and start-up businesses. 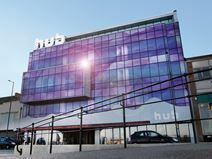 The building is accessible 24-hours a day and offers a range of work spaces that are great for working, collaborating and networking. There are excellent on-site facilities including showers, a manned reception area, kitchen, meeting rooms for hire and breakout areas. The centre benefits from great local transport and road links. This business centre is comprised of several wings set in a 75-acre landscaped park that has courtyards, gardens and a lake. There are excellent facilities on-site including dedicated meeting rooms, a fitness suite and a restaurant. The furnished offices all benefit from lots of natural light and great views of the nearby lake and gardens. The space is accessible 24-hours a day and features ample on-site parking.